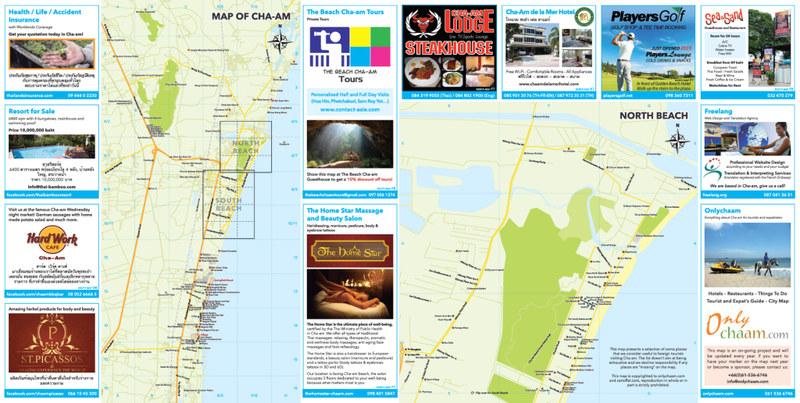 Our tourist map of Cha-am can be found at our sponsors’ venues and in major hotels of Cha-am. 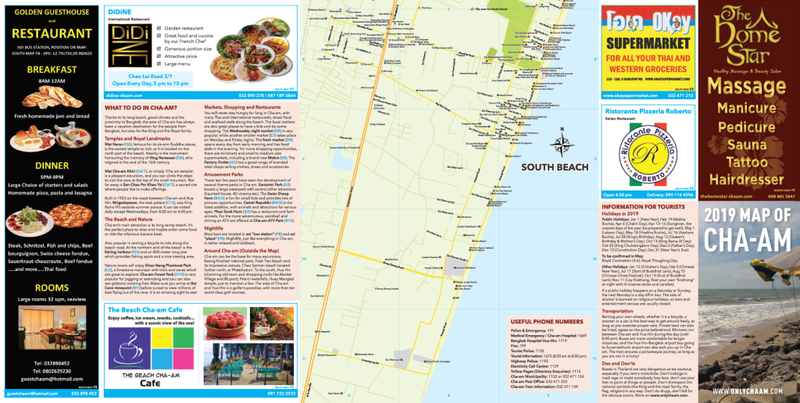 This map can be found in hotels and restaurants, and at our sponsors’ venues. It is a paper, hard copy edition, but we also offer an interactive city map. 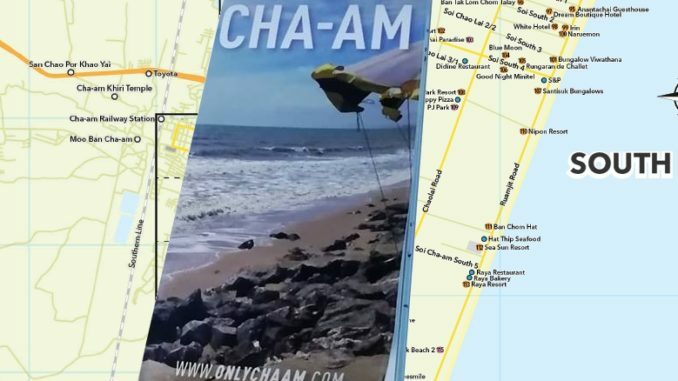 This map is an on-going project and will be updated every year, so if you want to have your marker on the map next year or become a sponsor, please feel free to contact us.